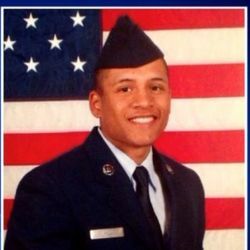 27 year-old Air Force veteran Anthony Hill was killed when he was shot by a DeKalb County police officer Monday, March 9, 2015 afternoon. DeKalb County Police Chief Cedric Alexander said at a news briefing that it appeared that Hill was unarmed. Anthony Hill served in the Air Force. Hill's family said he was diagnosed with PTSD and bipolar disorder. He had stopped taking his medication two weeks before the shooting, upset about the side effects. His girlfriend, Bridget Anderson, said the medication was causing his tongue to swell and his jaw to lock. He had an appointment to talk with his doctor, but that wasn't for another week. On Thursday, October 22, 2015, a Georgia grand jury reviewed the shooting death of Anthony Hill, but no charges were brought so far against the officer, Robert Olsen of the DeKalb County police department. The grand jury couldn't reach a consensus about an indictment and recommended "further investigation be conducted to aid in the decision to pursue this case by the [district attorney.]" Recommendations by the grand jury included conducting a follow-up interview with the first officer on the scene, and a second, more-thorough interview with another officer to clarify that officer's account of events. The family of Anthony Hill announced on November 10, 2015 that they were filing a civil lawsuit against the officer involved in the shooting. On October 16, 2017, the Georgia Supreme Court that the prosecution could resume after a year on hold. Don Samuel, the attorney for Robert Olsen had argued that prosecutors violated the principle of grand jury secrecy by allowing unauthorized personnel with no connection to the case into the proceedings. According to news reports, DeKalb County's district attorney is moving forward with the indictment process in the officer-involved fatal shooting of Anthony Hill. On January 23, it was reported that a DeKalb County grand jury had indicted Olsen. After the indictment, Olson resigned from the police force. On October 4, 2016, a DeKalb county judge denied a motion to dismiss felony murder charges against Robert Olsen. On August 16, 2018, a judge ruled that the police officer who fatally shot Hill was not entitled to immunity based on self-defense. On February 11, 2018, the presiding state judge recused himself from the case, potentially delaying the trial of DeKalb Officer Robert Olsen, which had been set to start in two weeks. The recusal came after questions arose this week regarding his sponsorship of a road race hosted by the district attorney. Several veterans gathered Monday, July 20, 2015 in DeKalb County to voice their concern that not enough has been done to seek the truth of why 24 year-old Anthony Hill was shot and killed on March 9 by a DeKalb County police officer.